Do pecans make everything better? My vote is YES! 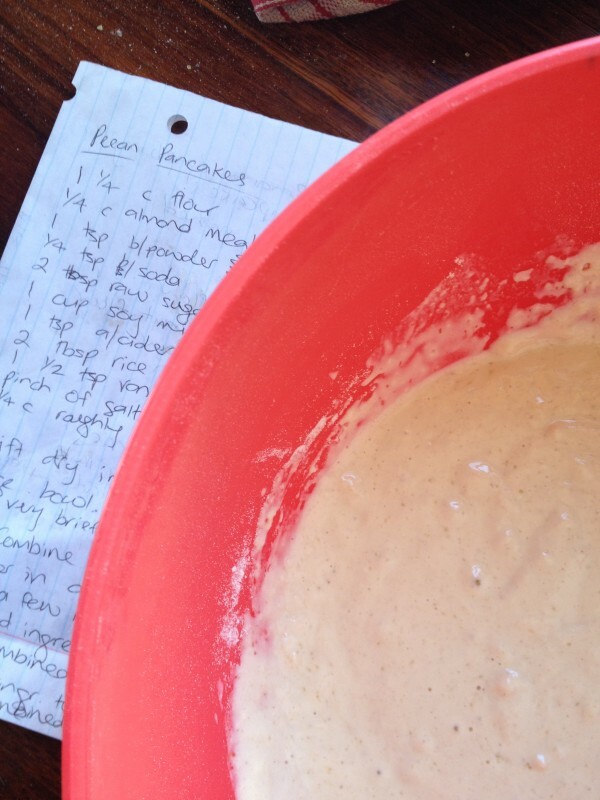 I made this recipe when I had a craving for pancakes with a little somethin’ extra and it has become my go to recipe. Refrigerating the batter for 20 minutes might test your patience, but it will also help ensure that the recipe turns out nice and fluffy. These are delicious, memorable pancakes that are great for a lazy weekend breakfast in bed or lounging in front of the TV. I have included a recipe for an effortless two-step boysenberry sauce that tastes like you spent a whole lot more time tending to it. Stack the pancakes, with a spoonful of sauce between each layer and a few big dollops on top. Finish with a swirl or two of your favourite pure maple syrup, some sliced banana on the side, and you are good to go. Sift dry ingredients into a large bowl. Add pecans and stir very briefly. Combine soy milk and cider vinegar in a medium bowl. Set aside for a couple of minutes, then add rest of liquid ingredients. Whisk until well mixed. Add wet ingredients to dry, in batches, stirring until just combined. Heat a small amount of rice bran oil to a medium hot frying pan. Pour around 1/4 cup of mixture into the hot pan and cook, in batches, for 2-3 minutes until bubbles form on the surface of the batter. Flip pancake and cook a further 1 minute. 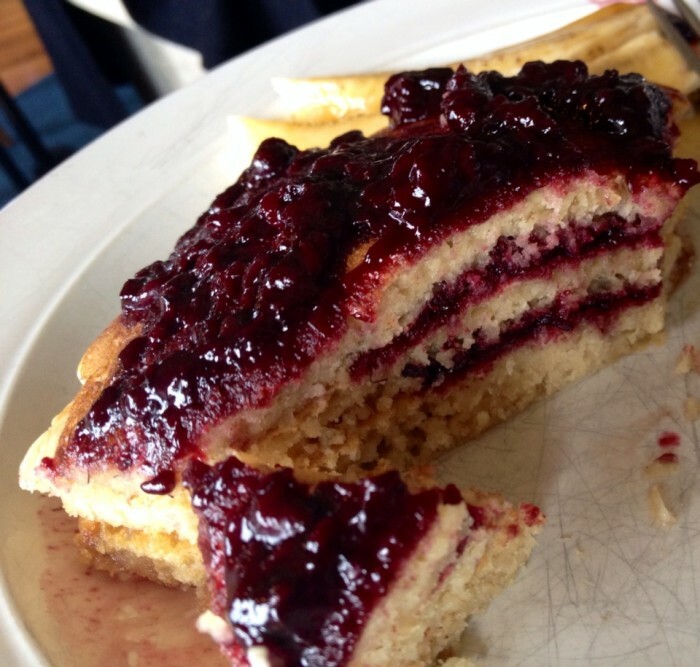 Keep cooked pancakes in a warm (50 – 75 C) oven. Serves two (approx. three pancakes each). Add boysenberries and sugar to a small saucepan. Bring to a boil, then reduce heat to low and simmer uncovered, stirring occasionally, until liquid has reduced and thickened (about 30 minutes).